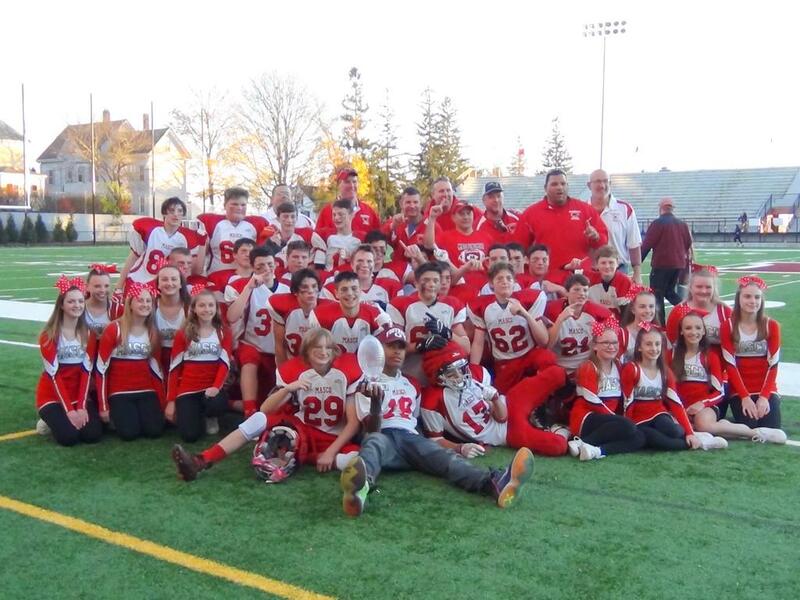 The Registration "Masco Youth Football and Cheerleading" is not currently available. The 5Star Academies Youth Football Camp returns to Reading in 2018. Enter MascoFB in the coupon code and receive a $50.00 discount due to Masco Varsity head coach Gavin Monagle instructing at the camp. 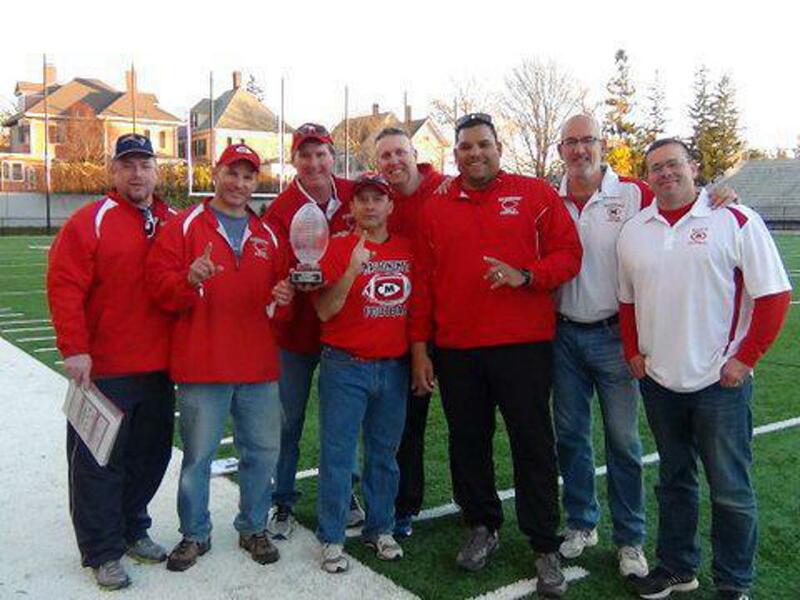 2016 A Team Head Coach Mike Theriault and his coaching staff. Check out these videos on the Guardian Caps. The Cape Ann Youth Football C league Super Bowl was a battle of heavyweights, featuring the Masco Chieftains versus the Marblehead Magicians. Masco came into the contest with the league’s top ranked offense and the top ranked defense, while Marblehead boasted the league’s second raked defense and third ranked offense. 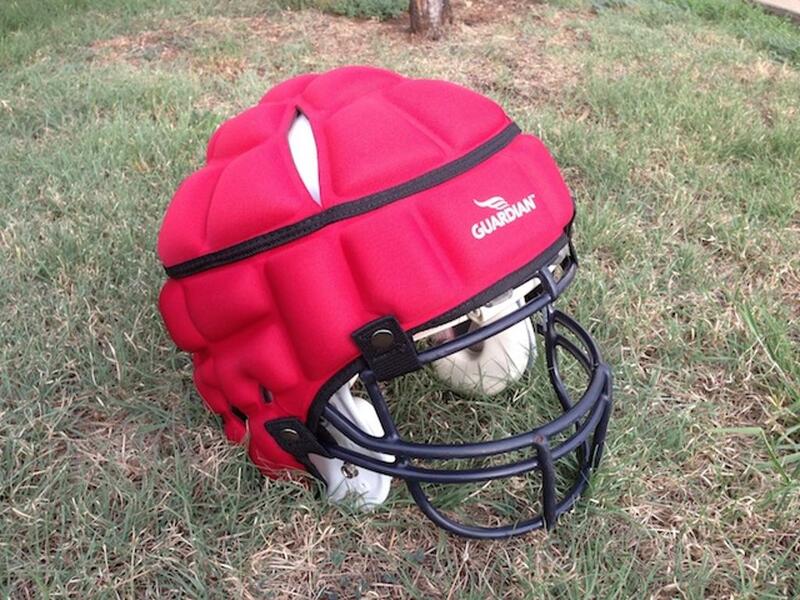 The Masco offense is led by the offensive line of Connor Hubbard, Theo Hutt, Harrison Lattimer, Matheous Kartsounis, Sean Bonefant and Diego Gomez, offensive ends Zach Manual, Jack Gilmore, and offensive backs Billy Stevens, Tim Dowd, Bobby Huford, Chris Callahan and Sam Lockhart. On the defensive side of the ball, the Masco defense, which only gave up three touchdowns all year long, includes defensive linemen Simon Kotarski, Wesley Stoops, Robbie Peachy and Colby Fecteau, linebackers Harrison Greenslade, Matt Crowley, Jack Evaul, Bobby McKenna and Ryan Cass and defensive backs Caleb Clark and Jack Wilmot. Fueled again by the season long support of the fantastic and award winning cheerleading squad, Masco won the coin toss and elected to receive. It appeared that Masco was off to a great start when Billy Stevens took the opening kickoff and returned it all the way to the Magicians 45 yard line. However, the Magicians defense stood tall and forced a three and out, preventing Masco from getting a first down and forcing a Masco punt. On the ensuing Series, the Masco defense returned the favor, and Marblehead punted the ball back to Masco. The Masco offense then started getting on track and drove for the games first first down. The Magicians defense then stiffened up, and stopped Masco on a 4th down with a great defensive play that drove the Masco ball carrier back 20 yards and Marblehead took over the ball in Masco territory. Once again, the Masco defense held the Magicians to three plays and a punt and the first quarter ended in a scoreless tie. On the opening drive of the second quarter, Masco began a sustained drive that produced two first downs, but once again the offense was stymied on a fourth down by strong defensive play from Marblehead. Marblehead’s third offensive series produced the same results as the first two, with the Masco defense holding the Magicians to three downs and forcing a punt. The Magicians defense then held Masco to a quick three plays and a punt and the magicians took the ball over with two minutes remaining in the first half. Aided by an offside’s penalty, the Magicians offense finally produced a first down before the Masco defense again put the clamps on led by a devastating tackle on third down and short yardage by Harrison Greenslade, and the first half ended with scoreboard still reading 0-0. The second half began as a mirror image of the first, with the Masco defense playing dominating football and the Masco offense demonstrating patience and continuing to soften up the stout Magicians defense behind the tough blocking and hard running of the Masco offense. Once again, the field position shifted back into Masco’s favor as the third quarter dwindled to a close. As is so often the cases in such a close football game, a key play occurred to turn the game around. With the Magicians once again pinned deep inside their own 20 yard line and forced to punt, Stevens collected the punt at midfield and behind some tough blocking by the punt return team, made a great runback all the way to the Magicians 11 yard line. The Masco offense wasted no time in taking advantage of this opportunity, with Stevens taking an inside handoff and following a plethora of blockers into the end zone for a 6-0 lead with a minute left in the third quarter. The Magicians offense finally began to pull some rabbits out of their hat on the next drive, using a mix of inside and outside runs to get two first downs and drive into Masco territory. The trick backfired however, when a halfback pass was intercepted by Stevens at the Masco 40 yard line. The Masco offensive line then took the game over, wearing down the Magicians defense in a long and sustained drive that consumed a bulk of the fourth quarter and ended with a Tim Dowd touchdown that put Masco ahead 12-0 with about 4 minutes remaining in the game. The magic show ended on the next drive as the Masco defense once again stifled the Magicians offense and Masco took the ball over and ran the clock out to end the game. The #1 ranked Masco B Team was upset by the Marblehead Magicians on Sunday 20-6. An undefeated season was derailed by a strong Marblehead team. Masco had never been behind in a game all year but found itself down 6-0 after the opening kickoff was returned for a touchdown. Masco’s next 2 possessions were turnovers on special teams and the Chieftain’s never recovered from their early mistakes. They played hard until the end but it was not enough. Though they came up short in the Championship game the boys should be proud of a having a very successful season. 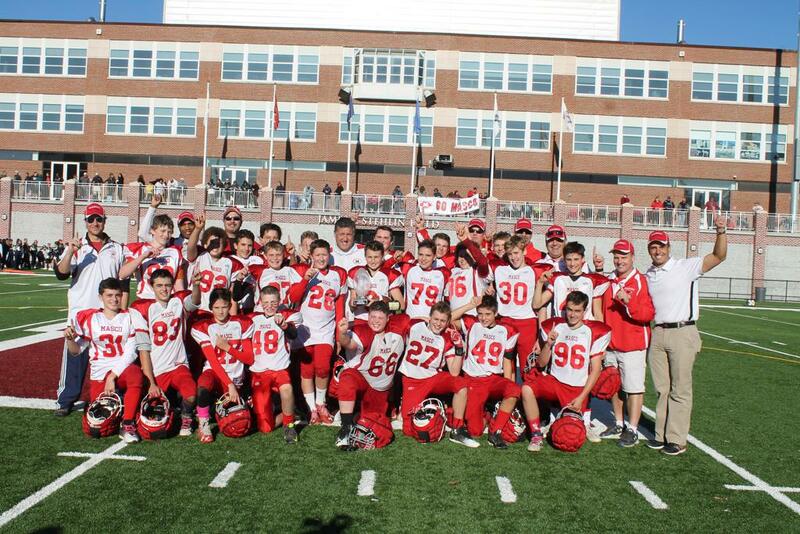 Let's make every effort to get over to Marblehead on Sunday to cheer on our boys to two undefeated Super Bowl winning seasons! 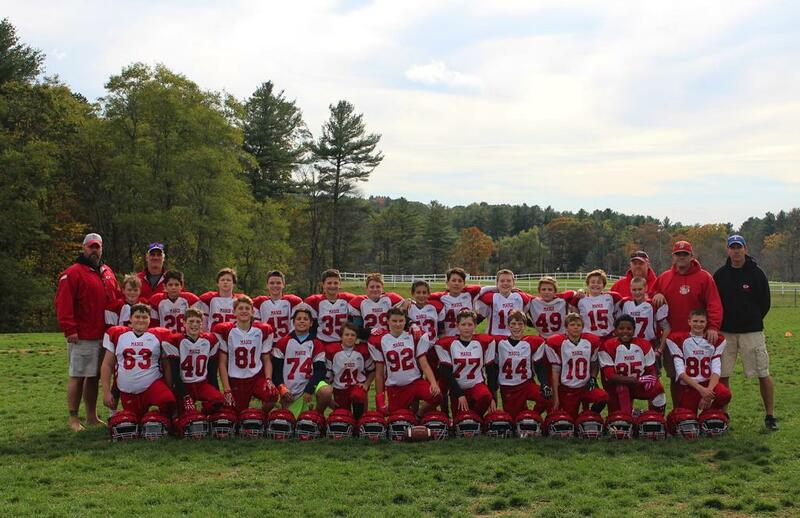 Masco Youth Football & Cheering - Photography Fundraising Event! Please do not forget to order pictures of your football player or cheerleader. Simply visit the MYF Photography website (myfphotography.smugmug.com) to view thousands of individual, team, and action shots. Individual pictures can be purchased as a package for easy ordering. Team and game day action shots can be ordered individually, so feel free to browse the galleries to find pictures of your player or cheerleader in action! All proceeds from photography sales go directly back into the Masco Youth Football & Cheering program. Click on the helmet to go to Guardian Caps website. 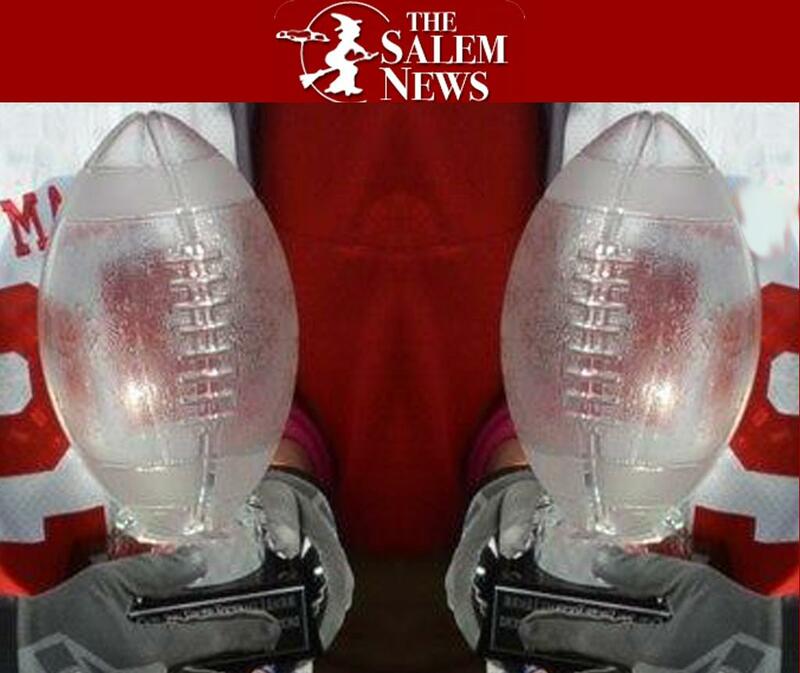 ©2019 Masconomet Youth Football & Cheerleading / SportsEngine. All Rights Reserved.